Here's an interesting figure that will be very limited (only 2,000 made). 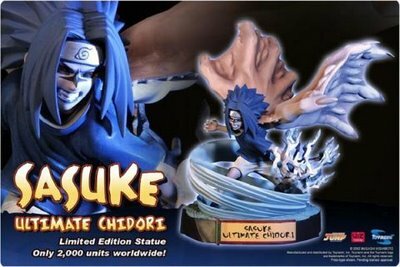 Any fans of Sasuke will like this version of him of course under the full Orochi mode he had during the original Nartuo series. A bit step in price though but are some of you Naruto fans that crazy for this? More images will come if I can snag some when they arrive to the store some time in March or April 09. How much if I bought from HK?